Hearing from our friends and followers is a great chance to learn more about how we can best meet your unique needs. When you’re excited to share your product experience, we are just as excited to high-five your baked good masterpiece. Here are a few testimonials that we’ve gathered and would like to share. Don’t forget to check us out on Facebook and Instagram! “I have been purchasing 25 lb. bags of your Seven Grain Bread Flour, Whole Wheat Pastry Flour and Cornmeal (through Amazon’s Subscribe and Save program) for a couple years and LOVE the results of my organic baking for my three children, husband, parents, in-laws, aunts, uncles cousins, and friends…pizza dough, yeast and quick bread, cookies, cakes waffles, pancakes, muffins…you name it! I’m now planning to try some of your other organic flours. “I wrote last week to ask if your facility was peanut free. I got a prompt answer (hard to come by these days) that you are peanut free so I ordered a bag each of the breakfast cereals and the corn and oat pancake mix. My family loves it! The pancakes remind me of my great-granny’s! The hot cereal kept me full until way past lunch and you can taste the quality and cleanliness of the grain! “We had 4 of these (100lbs) shipped to us in Ireland. The packaging job was awesome and the box you use is the strongest I’ve ever seen. No issues at all with any of the boxes… WAY TO GO!!! “I ordered yoru Seven Grain Bread Flour from Amazon.com. I use it for a loaf of sandwich bread every week. 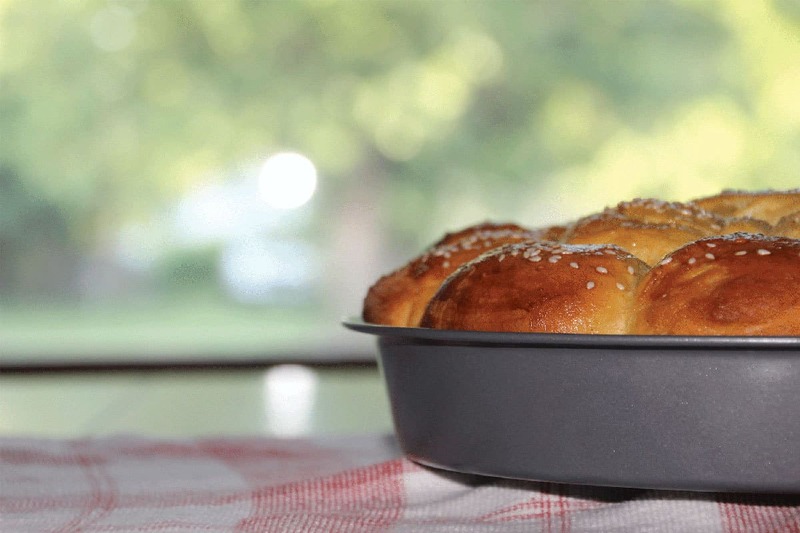 I would love to share my recipe for “Nannie’s Bread” (that’s me). I use my Panasonic bread machine. I bake this on the Whole Wheat setting, but it will work fine for a Basic setting also.